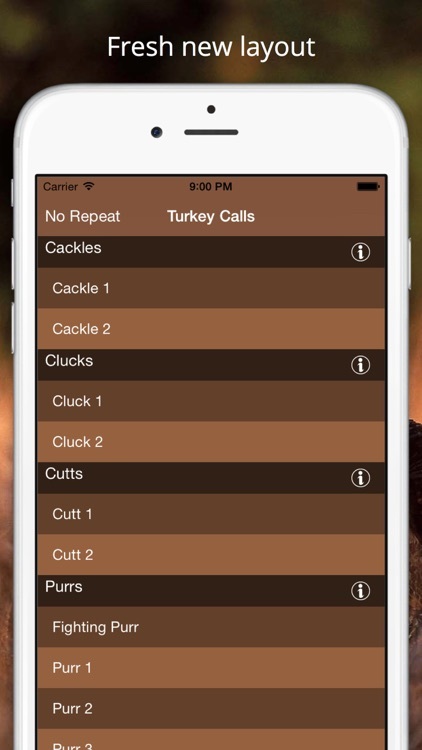 Turkey Calls is a handy application that will allow you to listen to a variety of turkey calls while hunting, practicing your own calls against real calls or just to goof around with friends and family. Don't accept any substitutes. This is a great tool and everything from the interface to the descriptions of the sounds were made with the turkey hunter in mind. Each sound was meticulously remastered to cut out any background noises and made to be crystal clear. 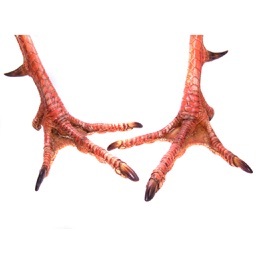 Some sounds are man made and others are real turkeys recorded in the wild. 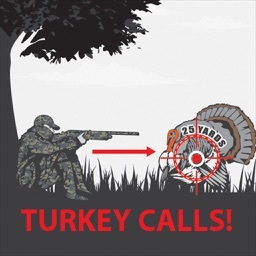 Other apps will throw in a few sounds littered with ugly background noises that aren't true to the clarity of a real turkey call. I answer any support requests and listen to any recommendations that will make this a really awesome app. It is, after all, the customer I serve.